Happy Friday Friends! 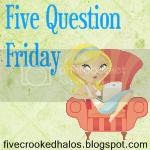 Time for another Five Question Friday! 1. Where do you hide things from your kids at? I had my husband put a state of the art lock on our big bedroom closet. We keep the guns in there and anything else we want to keep away from the kids. Plus is a huge walk in closet and its holds secret birthday or Christmas gifts. Its is a pain having to unlock the closet every time we want to go in but it makes me feel better to have some of husbys stuff locked up! 2. What is your favorite rainy day activity for bored toddlers? Its been a while since I have had toddlers being my kids are 10 -11 and 17 now...but I remember doing little crafts they liked.. my kids loved the Candy Land game from a very early age...and if its summer.. we play in the rain..
Last year all the little kids were playing out in the rain and the neighbor loved watching them.. he came over the next day and asked if I was worried about them getting hit by lightening? NO. 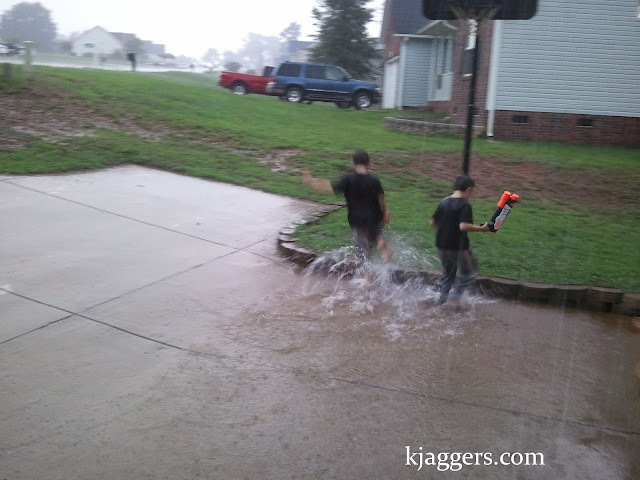 Kids need to be able to go play out in the rain on warm summer days! Why not let them have a little fun!? 3. 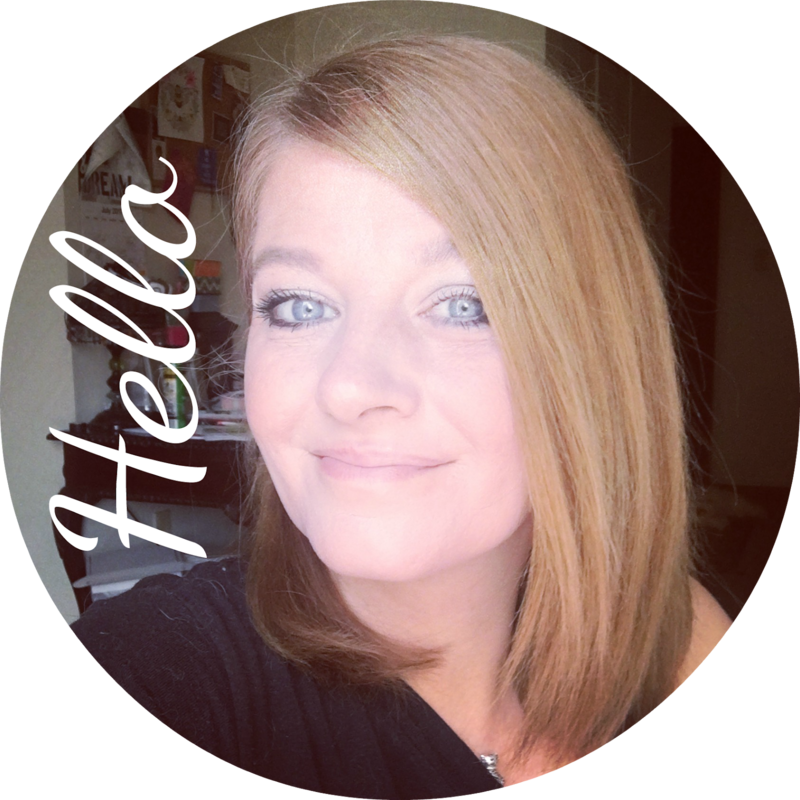 Are you a punctual person or are you always running a few minutes (or more!) late?? I am normally pretty punctual. There are times when I am running behind but its not the norm. I am a big planner so most of the time.. I am on schedule! Honestly I like both. We have a burger joint here that I love.. and its a little mom and pops. But I also love Outback.. Applebees.. and even the Waffle House sometimes! 5. Does your significant other snore? Do YOU snore? Scott really snores. He or I ends up sleeping in the spare bedroom a lot. You know after being together so long I don't mind if he sleeps in another room some nights. As long as he is in the house when the door locks.. he can sleep where ever he likes! But his snoring is really loud and its drives me crazy. I even have videos of it! I don't normally snore unless I am super tired!